Just want to send a small simple gift with some specific reason or no reasons? 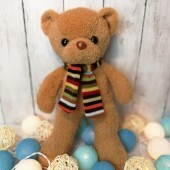 Teddy bear is the best way for you. 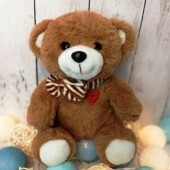 With the wording teddy bear, "Sorry" for apologized, " I Love You" for love, holding flower or heart teddy bear can use for any purpose with no reasons. One of the bear will suit for you. Want her to hug you? 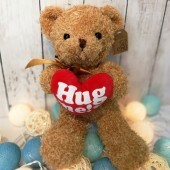 Send a Message bear to her with your own message now, the size of bear is appro..
A Lovely 10 inches Teddy Bear all ladies will smile to you ..
Want to Say I love you to her? 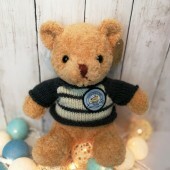 Send a Message bear to her with your own message now, the size of bea..
A Lovely approx. 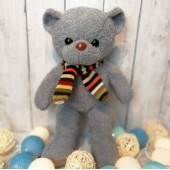 10 inches Teddy Bear, all ladies will smile to you ..
Teddy Bear in Grey, approx. 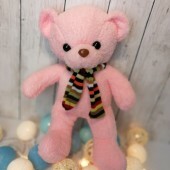 10 Inches Height ..
A Lovely 10 inches Teddy Bear, all ladies will smile to you ..
Teddy Bear in Pink, approx. 10 Inches Height ..
A 4.5 inch I Love You Mum Teddy Bear in Purple Color ..
A 4.5 inch I Love You Mum Teddy Bear in Pink Color ..
A 4.5 inch I Love You Mum Teddy Bear in Red Color ..
A 4.5 inch I Love You Teddy Bear in Purple Color ..
A 4.5 inch I Love You Teddy Bear in Pink Color ..
Teddy Bear, approx. 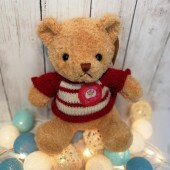 10 Inches Height ..
A 4.5 inch I Love You Teddy Bear in Red Color ..